Universal healthcare has long remained unfulfilled but is still equally desirable. Globalization of Medical Industry has not met the same standard as trade and commerce has over the last few decades. To pin down one reason for the failure would not be fair. However, there are a few prominent roadblocks that have for long paralyzed medical innovators and service providers from bringing affordable health services to one and all on this planet. 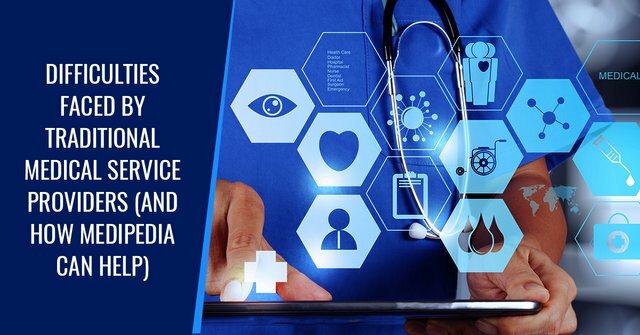 Let’s dive into details of the difficulties faced by various healthcare participants and in the process understand why Medipedia Blockchain Solution for Medical Tourism is the way ahead for distribution of future medical services. Laws (both political and legal) change with national borders. What is acceptable in one country may be completely admonitory in some other country. This leaves Medical device companies and pharmaceutical companies on slippery grounds. Development of advanced medical technologies as well as drugs requires ponderous capital investment in intellectual and physical resources alike. Also, even a breakthrough research or drug has to go through a vicious circle of approvals and testing before granted use and distribution license. The situation is particularly taxing in case of those drugs or medicines that require prescriptions or approval from authorities. Further, export regulations also complicate matters, thereby, slowing down access to life-saving drugs for one and all. Not to mention the underdeveloped nations were most citizens remain aloof to modern medicinal benefits owing to lacklustre transportation and communication infrastructure. Medical research is extremely costly and scarcely fruitful. The trials and errors can be overshoot budgets. It sometimes requires wide-scale collaboration with multiple entities at ground and lab levels. Data, which is prime for discovering treatment of rare disease, is far and few. This alienates small or medium-sized pharmaceutical companies from investing in research programs owing to skyrocketing cost which impacts operations. Only Large pharmaceutical companies can survive the rat race in the long run. Hence, new products or drugs are rare, costly and limited. This impacts the overall global healthcare standard adversely. In the dearth of quality and quantitative samples as well as expediting contribution of small or medium-sized pharmaceutical companies on research, the long cherished dream of making global healthcare tourism accessible and affordable for all will remain unfulfilled. The blockchain is a perfect catalyst for bringing affordable healthcare services to one and all. Medipedia Blockchain Ecosystem for medical tourism is one such initiative in this regard. The Medipedia Blockchain Network can act a strong repository for disease data without compromising on patients anonymity. Further, the peer to peer network protocols enable proactive and cumulative sharing and feedback on new drugs and medical devices for evaluating impact at minimal cost.